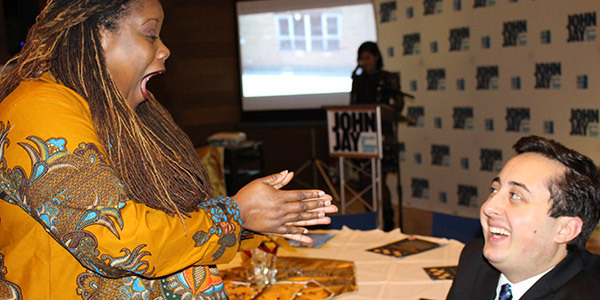 On November 30, John Jay’s Academic Advisement Center (AAC) celebrated its 10-year anniversary. The room was filled with laughter, hugs, and joy as previous AAC deans, advisors, and coordinators mingled with students and professors. When Bowers spoke to the group, she shared the reason why she was determined to create the AAC 10 years ago. 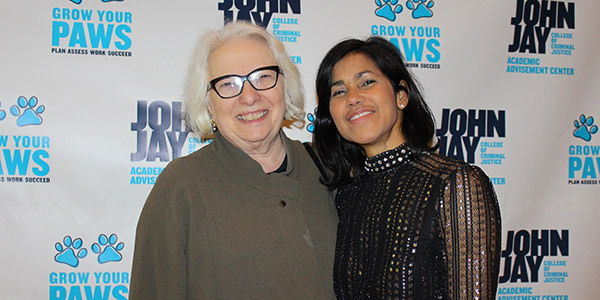 Before she became the Provost at John Jay, Bowers served as the Undergraduate Dean, and during that time, it became clear to her that there was a gap in student advisement. “On a daily basis in the the Dean’s office, I saw the results of this problem. Students would arrive at graduation audit not having completed the courses they needed to graduate. They would have to stay an extra semester just to take two courses. Other students would fail to find their academic committee, and graduate with tons of excess credits that they would have to pay for themselves,” said Bowers. That’s when she made it her goal to create an academic advisement center to help students. But first she had to bring the lack of advisement into sharp focus. 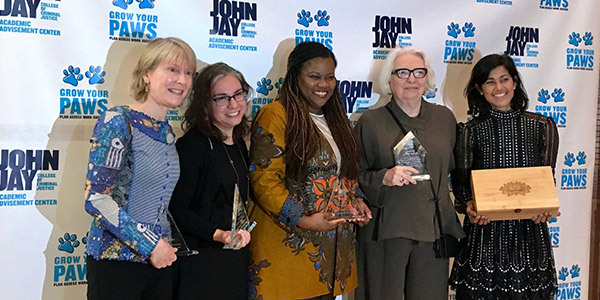 “I stood up in a Town Hall and declared that John Jay did not provide their students with any academic advisement, and that this was unacceptable and it had to end.” Once she had the support she needed, Bowers hired a director and a small staff. Then they developed a plan to provide mandatory advising for first-year students. 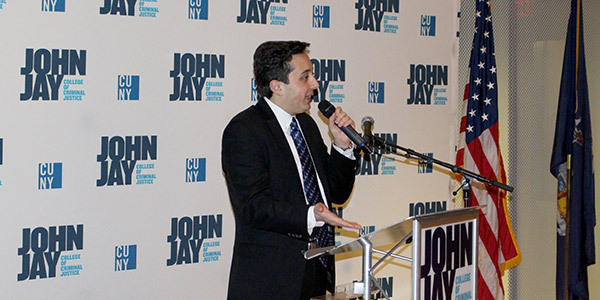 “Tonight’s celebration celebrates recognizing a problem and advocating for a solution,” said Bowers. 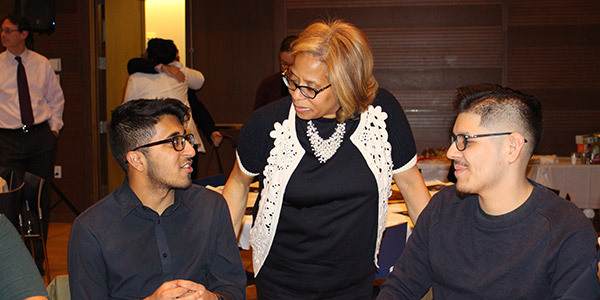 If anyone is at the front lines of student advisement, it’s Sumaya Villanueva, the AAC’s Senior Director, who’s held the position since the center’s inception. Over the years, Villanueva has had to be very creative in the ways the AAC maximizes its reach with limited resources. But, she’s never lost sight of Bowers’ initial goals, and she finds herself inspired every day watching students thrive and overcome challenges. “One of my favorite AAC stories is of a student who started off having a lot of difficulties progressing in her degree because English wasn’t her first language. 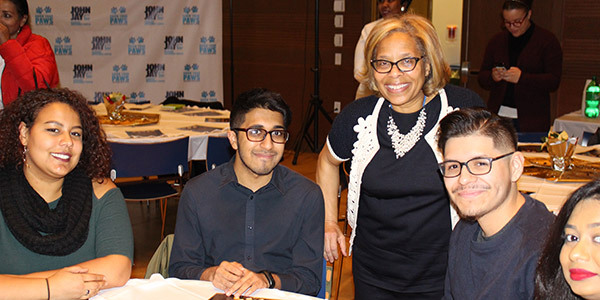 Louise Freymann—one of our original three advisors—started working with her and suggested that she go to a CUNY program to help with her English skills,” said Villanueva. 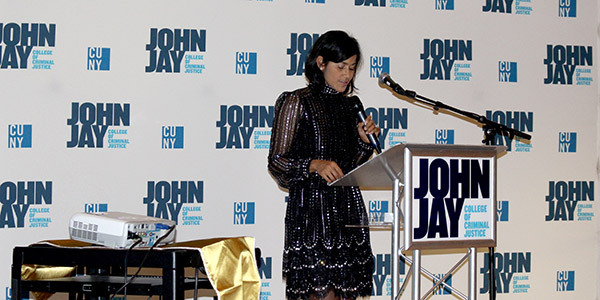 “When she came back to John Jay, you could immediately see a difference in her. 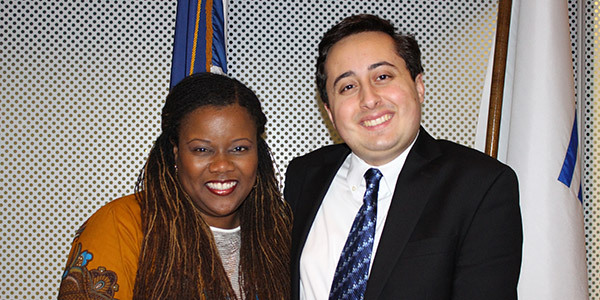 She graduated with honors and went on to pursue a master’s degree.” Villanueva believes that the AAC was the crucial element that helped guide that student in the right direction, moving her toward a degree instead of giving up and dropping out. As a current honors student on track to graduate this coming May, Andrew Bandini, Secretary of Student Council, knows how important the AAC is to his friends and peers. “I’m lucky to get academic advisement from the honors program directly, but students come to student council all the time asking us what courses mean and what they need to fulfill their requirements,” said Bandini. “I’ve referred them to the AAC, and I’ve seen how the center plays an integral role in students’ lives. 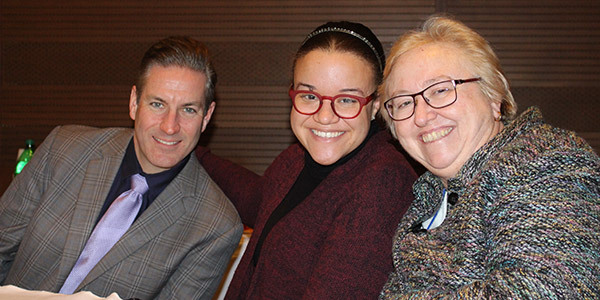 The advisors perform one of the hardest jobs here at the College, convincing students who are overwhelmed and stressed that they can succeed.” Villanueva agreed, explaining that the center now plays a role in the academic planning of most undergraduate students. And, she was happy to share with the group the AAC’s two latest programs: Nudge to the Finish Line, a text messaging pilot, which is part of the National Research Project led by researchers at the University of Virginia; and CUSP, which stands for Completion for Upper-division Student Program, a Price Family Foundation two-year grant funded project that works exclusively with upper seniors to help get them to graduate.